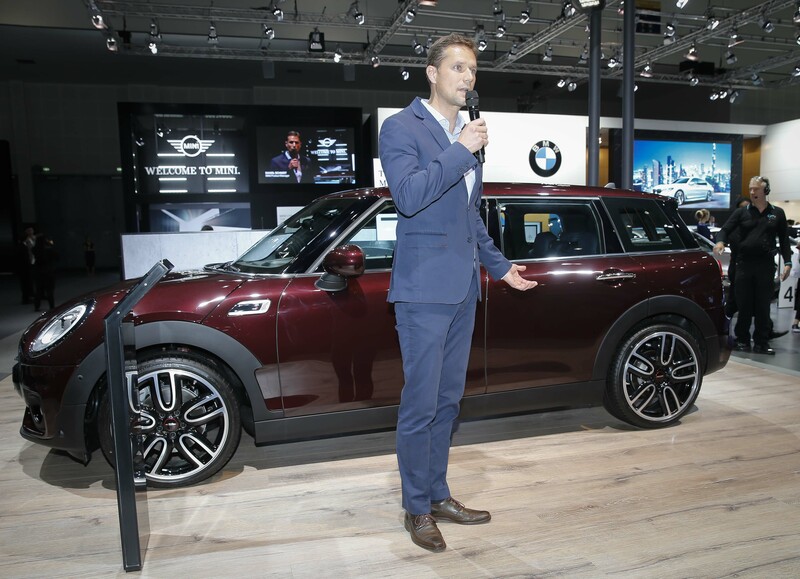 Dubai, UAE.Daniel Schmidt, MINI Product Manager from the BMW Group headquarters in Munich, unveiled the latest instalment from MINI on the inaugural day of the Dubai International Motor Show, currently taking place at the Dubai World Trade Centre. 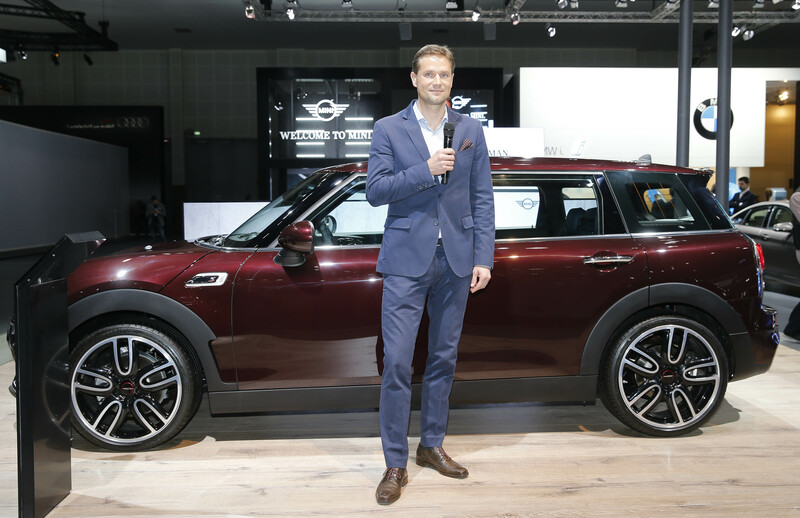 Media and MINI aficionados gathered around the new MINI Clubman as Schmidt demonstrated the spaciousness and matured design of the vehicle, which perfectly embodies MINI’s new, more grown-up visual identity. The new MINI Clubman comes with a wide selection of innovative driver assistance systems and an extensive range of options for exterior and interior individualization. A stretched silhouette and accentuated width reveal the MINI Clubman‘s new, bold dimensions, which have increased by just over 32cm in length and around 12cm in width. The interior of the new MINI Clubman has also expanded along with the exterior. The cabin’s new dimensions are made palpable through a generous sweep, clear surfaces and a more “grown-up” sense of space. The defining element of the MINI Clubman interior is its broad instrument panel, which adopts the generous surface areas of the exterior and brings them inside the car. The 3 and 4-cylinder petrol engines available range from 75 kW/102 hp through to 141 kW/192 hp and for the first time in a MINI, the Clubman is available with an optional 8-speed Steptronic transmission. The driver will also enjoy the highest level of ride comfort and brand-based go-kart feeling ever seen in a MINI thanks to the MINI Clubman’s high-quality suspension technology that is unique within the competitive field. Another highlight at the MINI stand at this year’s Dubai Motor Show is the MINI John Cooper Works, the brand’s performance model for those looking for added sportiness. The 2015 edition is the most powerful MINI ever built and comes with a 2.0-litre, 4-cylinder TwinPower Turbo-charged engine, delivering 231 horse powers and reaching 0-100 km/h in just 6.1 seconds; 0.2 seconds quicker than the older model. The MINI stand at this year’s Dubai International Motor Show is an excellent representation of the brand’s new corporate identity. Sleek lines and understated style underpin every aspect of the minimalistic design of MINI’s display area, which exhibits the new MINI Clubman, MINI Countryman, MINI 5-Door and MINI John Cooper Works. Stay tuned on http://wheelers.me/ for more news about the new cars releases unveiled at Dubai International Motor Show 2015!